Driven by his passion for understanding why people feel the way they feel, Jesse is an expert at pinpointing the core problems plaguing teams, then empowers them to exceed expectations. Serving Fortune 500 clients across the nation, Jesse works with efficiency and tact to elevate teams beyond barriers and promotes futuristic and positive creativity. His unique prospective on life allows him to engage audiences to venture beyond the commonplace, the familiar, or the obvious and entertain ideas about the best ways to reach a goal, increase productivity, or solve problems. Jesse allows individuals to broaden their understanding of their own original ideas by guiding them to discover that “the life of the mind” is a joint effort. Jesse’s life is as unique as his talents. The son of teenagers forced to grow up too quick – Jesse firmly believes that each moment in our lives impact who we are today and who we will be tomorrow, but does not define us. His mantra of Ut Prosim, Latin for “That I May Serve,” touches every part of Jesse’s life both personally and professionally. At age 16, Jesse began his life of service as a volunteer EMT on an ambulance in rural America. Finding his passion and footing for dealing with crisis, he quickly elevated to the role of a paramedic before taking on some of the most challenging and critical patients in inter-facility transport. Jesse’s foundation in high risk mitigation continued as he served as an emergency communications officer while a student at Virginia Tech and at a high volume consolidated emergency communications center, intercepting 911 calls and dispatching police, fire, and rescue for a population of more than 75,000. Never shy to tackle a challenge or stretch for an interesting opportunity, Jesse found his way into corporate America working with executive level leaders to improve health, wellbeing, safety, and occupational healthcare for their employees. He soon found himself promoted into leadership roles despite being the youngest executive in the company’s history. Jesse lead teams of more than 100 heathcare professional across 22 states and 38 locations while interfacing with leadership teams from corporate offices to the field and every level in between. 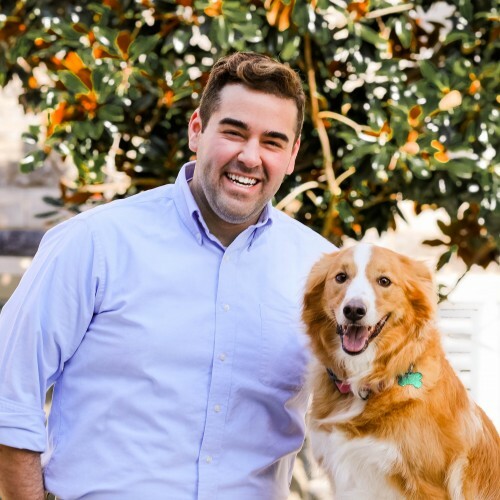 Relying on his passion for leadership development that he gained in the Residential Leadership Community at Virginia Tech, he set his sights on elevating those around him and serving their needs first and foremost. Within no time, his “outside of the box” and idealistic personality earned him some of the most challenging and innovative projects and roles available. With that, he was launched into the field of consulting, speaking, and facilitating with teams across the nation. Today, Jesse along with his wife Paula and their dog Maggie live in the heart of the Shenandoah Valley on their family farm. He serves on the Board of Directors for four organizations, two of which he is the chairman of. He has developed nationally recognized leadership programs, holds certifications in strategic planning, is a practitioner for Kirton Adaption Innovation Inventory (KAI), coaches’ teams for the National FFA Organization, and is a producer and broadcaster for On The Farm Radio. There is a reason that individuals and organizations turn to Jesse when they find themselves struggling to generate ideas and solve problems. Instinctively, Jesse allows others to benefit from his sound reasoning and logical assessment of opportunities, problems, regulations, policies, and proposed solutions. Open, honest, likable, and energized – Jesse will leave your team ready for more. Find out more about Jesse Martin at http://www.MACRAbi.com.